This file contains the released 2018 AP Macroeconomics Free Response Problems and my solutions. I recently ran into a student that I taught during my first year of teaching (ten years ago) what he remembered from my Calculus course. He remembered the word derivative and that we had to do problem sets and if he did well on those he would do well on the tests. But he didn’t really remember any “Calculus”. He works in marketing and- I assume- does not need to use any of the rules, theorems, or formulas particular to Calculus. But, I bet he has a better appreciation of the concept of change because of my course, even though he might not attribute it to my course; at least I hope he does. They looked in their notes and said things like chain rule, fundamental theorem of calculus, derivatives, and change. They also have every standard example in their notes (think volume of a balloon for related rates) that they can use in future Calculus courses as a resource (I have anecdotal evidence that they refer to these notes in college), but as I tried to dig deeper into what this course engrained in them, I was not sure that more than a few understood what I meant by change. We are going to spend two days on this task, then return to our normal progression of finding area between two curves. But for these two days we’re going to try to see if we can reinforce what I believe to be the central theme to Calculus. Maybe in ten years, they’ll remember this. I came across a New Yorker article from the summer (linked here) that applied concepts from Clayton M. Christensen’s 1997 book “The Innovator’s Dilema” to the current culture of technology, start-ups, and education. Christensen’s premise is that innovation takes two forms: sustaining innovation and disruptive innovation. Sustaining innovation is analogous to R&D- it is based on improving the current product. Disruptive innovation is blowing up the system; it means starting from scratch or reinventing. The article, written by Jill Lepore, briefly discusses the history of Harvard University and the introduction of Massive Open Online Courses. 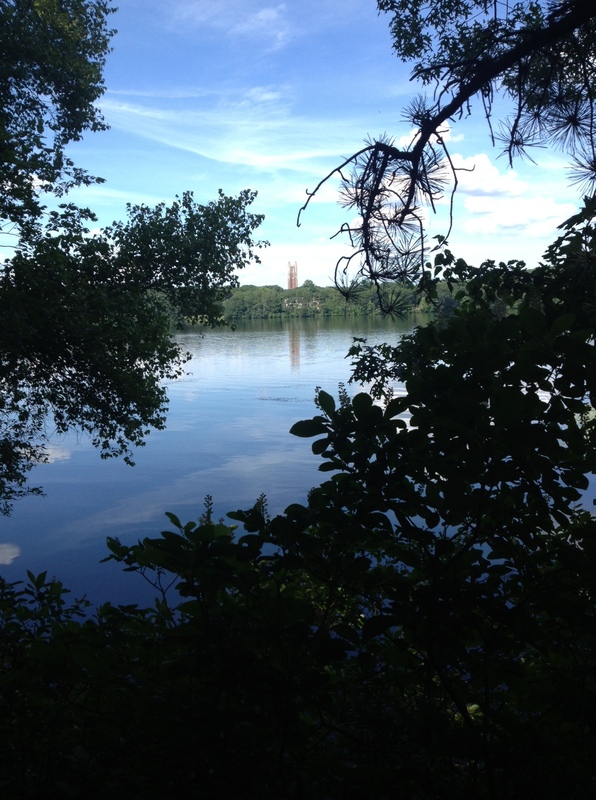 These courses were thought to open up opportunities for anyone not able to attend Harvard, and to be substitutes for the courses taught there. But are MOOCS, or online learning in general disruptive? Is teaching a hybrid class disruptive? Or are current trends innovating education simply sustaining innovation? What would a true disruptive innovation to education look like? I always assumed Major League Baseball’s schedule was constructed using some intense algorithm. It seems that for twenty-five years MLB used human intuition to construct their elaborate schedule. It seems like now programming and computer programming sophistication has caught up. This is a worthwhile twelve minute video by ESPN’s 30 for 30 series (directed by Joseph Garner). Also a worthwhile graph theory application. This entry was posted in Uncategorized and tagged algorithm, baseball, math, schedule. Two months ago, as the school year was beginning, I read a handful of articles discussing the correlation between productivity and routine. Business journals, blogs, tweets, and newspapers praise the importance of routine. Wake early, exercise, browse headlines before leaving for work. Work on creative tasks in the morning and mechanical tasks later in the day. Make lists and wind down before sleep. Setting a routine and completing tasks based on that routine would certainly make anyone more productive. Ultimately, a routine will put us into a position to complete our daily tasks and be productive. But those moments of innovation or ideas sparking in our minds will only happen if we consciously break our routine. Consider Google’s “20% time,” which is the one day per week that employees spend time working on side projects. This time is a structured (our routine) break of routine. This time has been lauded as the nest egg of innovation. Breaking away from our day-to-day habits gives us opportunity and the signal that our task is worth the time. Within the framework of the routine encouraged by productivity experts, we can incorporate intentional breaks to signal importance and generate opportunities for growth. This entry was posted in Uncategorized and tagged routine. So now I know why I haven’t heard anything definite about the iPhone 5. Joking aside, it is sad to see Steve Jobs leave the innovation sector. My last post about innovation and patent reform should have just been about Steve Jobs. He has been the leading innovator in our country over the past thirty years and his loss to the industry will be significant. That being said, I am sure we all wish him health and happiness in his retirement. 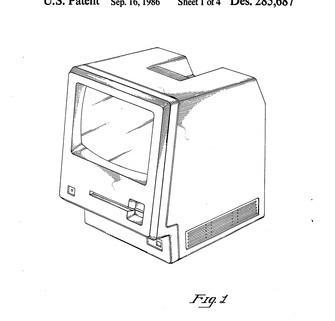 The New York Times has an interactive review of Steve Jobs’ patents. I found this great picture from a 1980s patent and could not stop thinking about playing Oregon Trail on this computer in fifth grade (when floppy disks were actually floppy… and existed). Nevermind the elegant simplicity of the first generation ipods or the intuitiveness of our iPhones. Earlier this week I was using our family’s new iPad, and noticed the text “designed in California, and assembled in China.” I thought this was a great way to overcome the standard argument to buy USA only products. Many advocates of USA only manufactured goods forget that the products being made overseas were invented in the United States and free markets pushed the assembly labor to China; we are not just buying the stuff China is sending us. In any case, Steve Jobs has been on the cusp of innovation in America and although he is stepping down, I’m sure Apple with continue to provide the United States with the cutting edge technology we crave. While Steve Jobs will no longer be the face of Apple, he will go down in history as the face of innovation in the United States. This entry was posted in Uncategorized and tagged innovation, iPhone, steve jobs, technology.